The summer reading season is here and along with it comes our reading list! 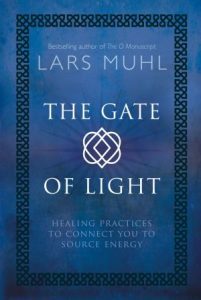 Based on Lars Muhl’s lifelong search for God, The Gate of Light doesn’t claim any absolute truths but sets out to provide a practice based on Essene teachings that allows us to look at how we judge ourselves and how we live in the world. He asks: What motivates us? How do we create a balance between thoughts, words and actions? How do we align ourselves in relation to our higher self and become the universal light beings we are meant to be? Drawing on this ancient knowledge Lars presents a complete practice to help us recognise and answer the above questions. 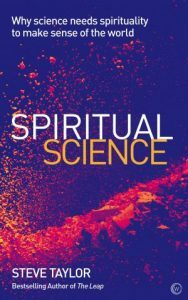 Spiritual Science offers a new vision of the world that is compatible with both modern science and ancient spiritual teachings. It provides a more accurate and holistic account of reality than conventional science or religion, integrating a wide range of phenomena that are excluded from both. After showing how the materialist worldview demeans the world and human life, Spiritual Science offers a brighter alternative – a vision of the world as sacred and interconnected, and of human life as meaningful and purposeful. 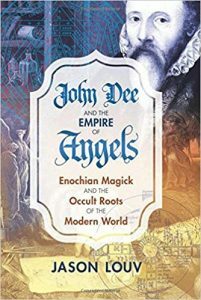 Jason Louv looks at the life and continuing influence of 16th-century genius and occultist Dr. John Dee. He examines Dee’s scientific achievements, intelligence and spy work, imperial strategising, and his methods of communicating with angels. 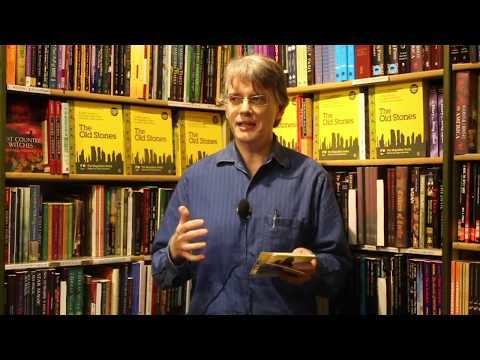 Piecing together Dee’s fragmentary Spirit Diaries and scrying sessions, he examines Enochian in precise detail and explains how the angel used Dee and Kelley as agents to establish a New World Order that they hoped would unify all monotheistic religions. Establishing a psychohistory of Dee as a singular force and fundamental driver of Western history, Louv explores his influence on Sir Francis Bacon, modern science, Rosicrucianism, and 20th-century occultists. “All there is is Krishna.” Upon hearing this famous and enigmatic line from the Gita when he was a boy, Ravindra embarked on a journey to understand its deep meaning. The search led him far beyond the tradition from which the text originally arose to an exploration of world mystical wisdom. Dr. Ravindra’s fresh prose translation with wide-ranging commentary is the fruit of that lifelong process. 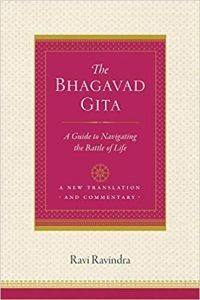 It stands out from the many other versions with its assertion that the Bhagavad Gita is at heart of a universal guide to navigating the battle of life required of each and everyone one of us. Ravindra shows that it is through that navigation that we can discover and connect with the Krishna deep within ourselves. 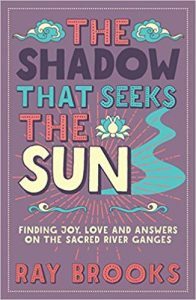 After many years spent searching for the secret to peace, happiness, and unconditional freedom, a chance encounter on the ghats of the sacred River Ganges heralds the end of Ray Brooks’ spiritual journey and the beginning of your own. The Shadow That Seeks The Sun will remind you of your natural state, ordinary beauty, leading to a simple yet profound truth that challenges your sense of self. Between humorous and uplifting stories of life in Rishikesh, India are nine insightful and poignant conversations between Ray and an Anglo-Indian man. There is much to learn from the ninja, Japan’s devious and courageous spy-commandos, who followed a highly skilled and dangerous path. 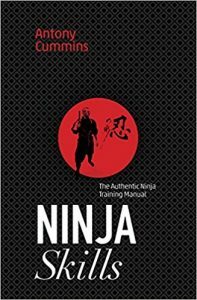 For the first time ever, this manual presents the authentic techniques, recorded in the scrolls of historical Japanese ninja (shinobi), as a course of 150 illustrated, ‘how-to’ lessons that debunk ninja myths and draw the reader straight into a shadowy and exciting world of espionage, infiltration and warfare. Jessica Huie went from being a teenage mother, expelled from school and staying in a hostel to having a glittering career in public relations, founding two award-winning businesses and earning an MBE from the Queen. 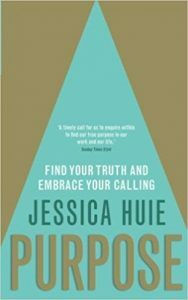 In Purpose, Jessica shares the lessons she learned as she went from being an individual who felt purposeless and unhappy, to someone who recognises her complete power to design and create a successful, meaningful and limitless life built from an authentic foundation. Using the toolsJessica shares, you too will feel empowered to get unstuck, begin making real change in your own life and the lives of others, and live according to your own true Purpose. 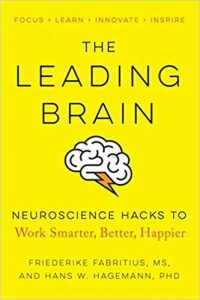 The understanding of how our brains work has radically shifted, exploding long-held myths about our everyday cognitive performance and fundamentally changing the way we engage and succeed in the workplace. Neuropsychologist Friederike Fabritius and leadership expert Dr. Hans W. Hagermann present simple yet powerful strategies for: sharpening focus, achieving the highest performance, learning and retaining information more efficiently, improving complex decision-making, and cultivating trust and building strong teams. In this deeply researched, wide-ranging, and lavishly illustrated book, National Book Award finalist Adrienne Mayor presents the Amazons. This is the first comprehensive account of warrior women in myth and history across the ancient world, from the Mediterranean Sea to the Great Wall of China. Mayor tells how amazing new archaeological discoveries of battle-scarred female skeletons buried with their weapons prove that women warriors were not merely figments of the Greek imagination. 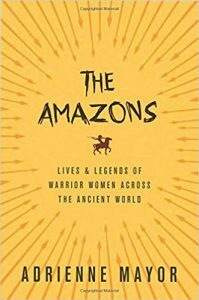 Combining classical myth and art, nomad traditions, and scientific archaeology, she reveals intimate, surprising details and original insights about the lives and legends of the women known as Amazons. 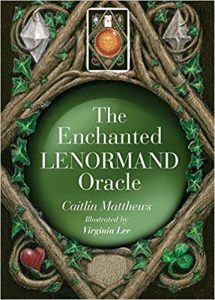 Enter the world of the Enchanted Lenormand with this superb new interpretation of the classic oracle deck, created by renowned cartomancer Caitlín Matthews. While artist Virginia Lee’s stunning hand-painted cards capture the authentic mystery and charm of the original decks, Matthews updates the Lenormand oracle for the 21st century, providing three extra cards that help readers define themselves and their relationships, as well as a practical handbook offering accessible new interpretations and layouts for this uniquely revelatory oracle. Kathryn McCusker explains how to follow a combination of guided meditations, yoga poses, breathing exercises and chanted mantras to activate Kundalini and access the incredible energy, serenity and insight hidden within us all. 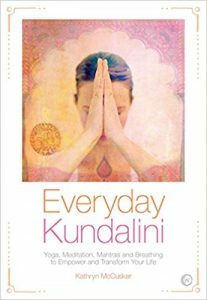 Discover all about Kundalini energy, what it is, how it works and how it can transform your life, learn the key Kundalini yoga poses, mudras (hand gestures) and bandhas (body locks) through easy-to-follow illustrated exercises, benefit from the author’s experience as a professional singer and long-standing yoga teacher as you learn breathing techniques and mantras, choose from 12 guided meditations created specifically to enhance your life, from relieving stress and boosting your immune system to gaining more emotional balance and opening up to new relationships.